Ani Mikaere (Ngāti Raukawa and Ngāti Porou) lectured in law at Auckland and Waikato Universities for 14 years before taking up a position in 2001 at the iwi-founded tertiary education institute, Te Wānanga o Raukawa. Its programmes seek to contribute to Māori survival through language revitalisation, and adaptation of traditional knowledge to meet contemporary challenges. Since 2010, Ani has been the Co-director of Te Kāhui Whakatupu Mātauranga at the Wānanga. In this role she has the responsibility of promoting the recovery and expansion of the body of knowledge that has been bequeathed to Māori by earlier generations. Ani has published widely on the impact of colonisation on Māori and Māori legal practices, Māori self-determination and Te Tiriti o Waitangi. At the 2017 International Funders for Indigenous Peoples (IFIP) Pacific hui, Ani issued a number of challenges to philanthropic funders to engage more effectively with Māori. Considered to be one of the most influential female scientists of the twentieth century, Dr Jane Goodall’s work has given the world a remarkable window into humankind’s closest living relatives – chimpanzees. Her dedication to community-conservation, poverty eradication, wildlife and the environment is life-long and inspiring. At the Summit, she will share her story about her work with the Jane Goodall Institute and Roots & Shoots. She will also address the mounting global crises that we currently face, and how as individuals, grantmakers and philanthropists we must turn back the clock, and rewind the future. Dr Tahu Kukutai (Ngāti Tiipa, Ngāti Kinohaku, Te Aupōuri) is Professor of Demography at the National Institute of Demographic and Economic Analysis, University of Waikato. She specialises in Māori and indigenous demographic research and has written extensively on issues of Māori population change, Māori identity, official statistics and ethnic and racial classification. She is a founding member of the Māori Data Sovereignty Network Te Mana Raraunga that advocates for Māori rights and interests in data in an increasingly open data environment. Recently she was appointed to the Forum of Chief Science Advisors and Census 2018 External Data Quality Panel. She has degrees in History, Demography and Sociology from the University of Waikato and Stanford University. Jennifer has been the CEO of the Auckland-based Foundation North since 2004. Jennifer’s career in philanthropy began in 1985 when Sir Roy McKenzie appointed her as the Executive Officer of his personal foundation. Following this she served for 10 years as the Executive Director of Fulbright New Zealand and on the Board of the Ian Axford Fellowships in Public Policy. Jennifer has been a Trustee and Chair of the J R McKenzie Trust and of the Nikau Foundation. She is currently a Trustee of the Vodafone Foundation and the Grace Memorial Trust and is an Advisor to the New Zealand Centre for Social Impact. She is Chair of the Advisory Board of the Victoria University of Wellington Chair in Restorative Justice. She was a founding member of Philanthropy New Zealand. In 2017 she was named as an Officer of the New Zealand Order of Merit and was the inaugural winner of the Philanthropy New Zealand Perpetual Guardian Lifetime Achievement in Philanthropy Award. Matthew Monahan is an experienced technology entrepreneur who recently migrated with his family from Silicon Valley to New Zealand. Matthew is the Co-founder of the Edmund Hillary Fellowship, a global community of changemakers seeking to create positive impact from Aotearoa New Zealand. He’s also a Founding Director of the Namaste Foundation, which supports exceptional non-profits across independent media, justice reform, and environmental regeneration. Rod has 40 years’ experience as an international business journalist. He has worked for various publications in Europe, North America and New Zealand, including the Financial Times and the New Zealand Herald. He is currently a columnist for the Newsroom NZ; an Edmund Hillary Fellow; a regular broadcaster on radio and television; and a frequent public speaker on sustainability, business, economics, innovation, creativity and entrepreneurship, in both New Zealand and global contexts. Shamubeel is an experienced economist, financial analyst and author. He has worked in various banks and consultancies in New Zealand and Australia. He currently balances a portfolio of activities: consulting through Sense Partners, a boutique economic consultancy; various governance and advisory roles for firms and charities; and regular media contributor. He holds a BCom (Hons) in Economics from Lincoln University and is also a Chartered Financial Analyst. He has authored several books – the most recent are Generation Rent and Growing Apart. Anjum Rahman is a chartered accountant with over 25 years’ experience, working with a range of entities in the commercial, farming and not-for-profit sectors. Her knowledge and experience, coupled with attention to detail, see Anjum working on more complex accounting jobs and providing larger businesses with monthly reporting and management accounts. Anjum has specialist skills in financial reporting standards, taxation of investment income and farm accounting. ​ She also commits to various volunteer roles in the community. Anjum was a founding member of the Islamic Women’s Council of New Zealand, an organisation formed in 1990 to bring Muslim women together and represent their concerns. ​ Over the years, she has been Chair, secretary, and for many years, the media spokesperson. She has also been a founding member and trustee of Shama (Hamilton Ethnic Women’s Centre), a social service organisation that provides support to ethnic women through its social work service, life-skills classes and community development. ​ She is a founding member of the Campaign for Consent Waikato, an organisation working on sexual violence prevention, and in that role, has been involved a number of programmes to raise community awareness. The organisation has been working on setting up an agency network to co-ordinate activities within Hamilton, as well as pushing for research into the prevalence and impact of sexual violence in ethnic communities. 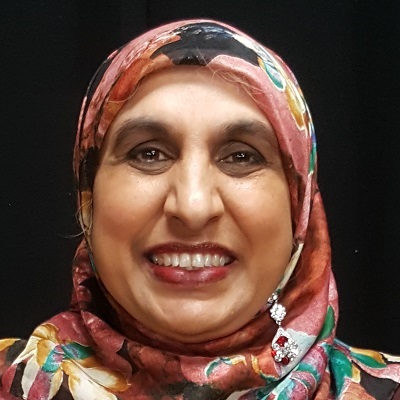 ​ Anjum has been an active member of the Waikato Interfaith Council for over a decade, a trustee of the Trust that governs Hamilton’s community access broadcaster, Free FM, and a trustee of the Ethnic New Zealand Trust. The latter undertakes projects to promote awareness of human rights within the community. Along with these roles, she writes poetry, is a member of the interfaith choir, is a mother of two. She takes on various public speaking engagements on a voluntary basis. Her favourite activity, for reasons which should be evident, is sleeping. Sir Stephen Tindall is the Founder of The Warehouse Group Ltd. In 1995, he and his wife Margaret established The Tindall Foundation, which has donated $172 million to support New Zealand families, communities and our natural environment. He is an avid investor in New Zealand enterprise. Through K1W1 Ltd and other vehicles, he has invested $250 million seed and venture capital into a large number of start-up and early-stage businesses. He is a Council Member of the World Business Council for Sustainable Development and a Founding Member of the New Zealand Institute – a think tank formed to contribute creative ideas and solutions to policy debate. He is also the current Chairman of the Board of Directors for Emirates Team New Zealand. Vu Le (“voo-lay”) of NonprofitAF.com is known for his blog that mixes pop culture, pictures of baby animals and laugh-your-pants-off humour, alongside candid insights into the current state of not-for-profits and relationships with funders. During the day, Vu is also the Executive Director of Seattle-based not-for-profit Rainier Valley Corps that promotes social justice by cultivating leaders of colour and strengthening organisations led by communities of colour.